North Little Rock Law Firm, David R. Cannon | Penalties for Driving Under the Influence of Drugs "
In most states, the penalties for driving under the influence of drugs are the same or very similar to the penalties imposed for driving while under the influence of alcohol. The penalties for these offenses are so varied that it would be impractical to discuss each state’s penalties. Many states have adopted sentencing guidelines that are similar to the Federal Sentencing Guidelines. 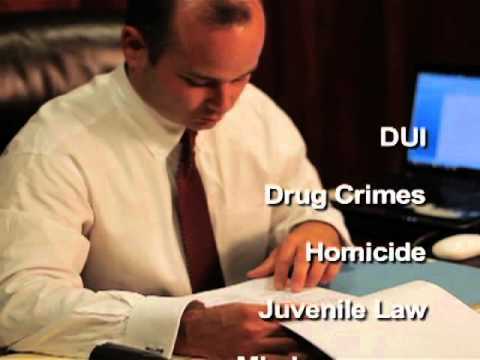 The guidelines generally provide a sentencing range for each type of offense and provide the aggravating and mitigating factors that can increase or decrease the sentence. As an example, in Illinois a first conviction is a misdemeanor that carries up to one year imprisonment, a fine of up to $2,500, revocation of driving privileges, and a required professional evaluation of problems. The penalties are increased for each additional conviction within five years. A third conviction is considered a felony and carries a sentence of one to three years imprisonment (with a mandatory minimum of 60 days community service or 10 days imprisonment), up to a $25,000 fine, revocation of driving privileges, and a required professional evaluation of problems. The penalties are enhanced if a child under the age of 16 years was a passenger in the vehicle at the time. In some states, an “offender score” is calculated based on the severity of the crime and the defendant’s criminal history. The score is used to determine a sentencing range. However, judges are allowed to provide sentences outside of the standard range where there are aggravating or mitigating circumstances. Even if a convicted drunk driving defendant is not sentenced to incarceration, it is likely that his or her license will be suspended or revoked. Courts are often restricted in their ability to alter suspensions or revocations of driving privileges because these statutory suspensions and revocations are intended to protect the public. In addition to revoking or suspending a driver’s license, many states impose penalties that directly affect the offender’s vehicle or license plates. For example, some states confiscate and impound the offender’s license plates, require a convicted drunk driver’s license plates to display identifiable markings, require the use of alcohol ignition interlock devices, immobilize the offender’s vehicle, impound the vehicle, or require forfeiture the offender’s vehicle.